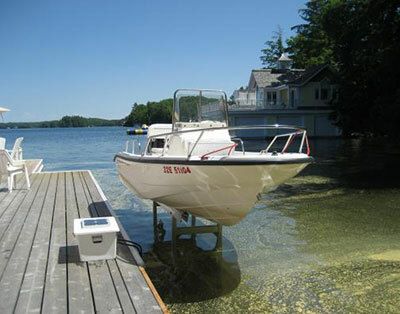 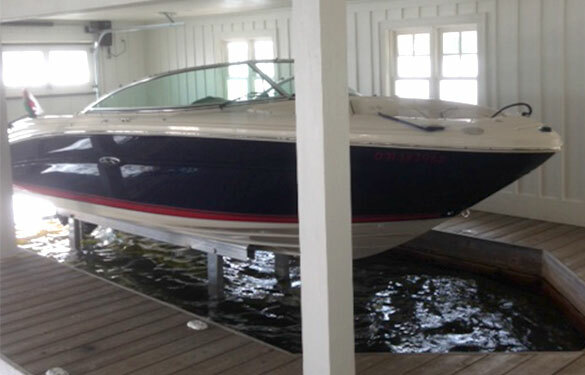 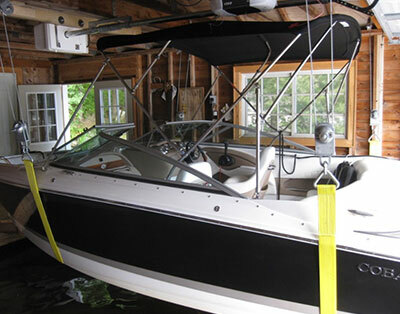 Our low maintenance lifts, provide reliability, easy operation and reduce the risk of damage to your watercraft. 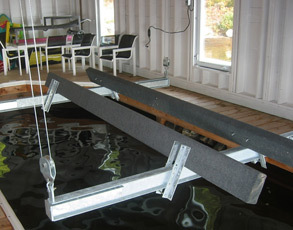 Enter and exit with remote or switch operation. 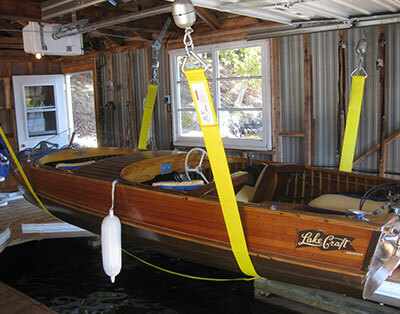 Choose from in-water or overhead lifts for your boat. 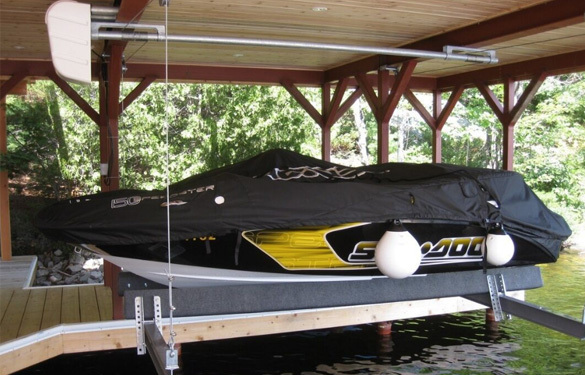 Lifts for personal watercraft such as Jet-Ski and Sea-Doos are available with manual or electric motors. 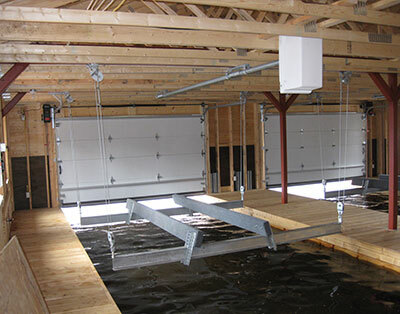 For our overhead lifts we use modern gearboxes that have a sealed oil bath unit which requires no maintenance. 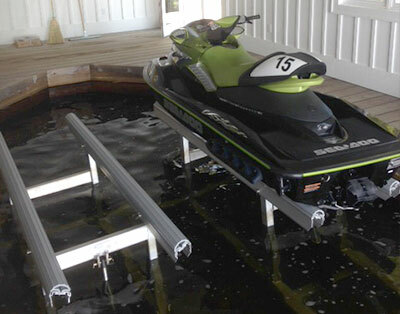 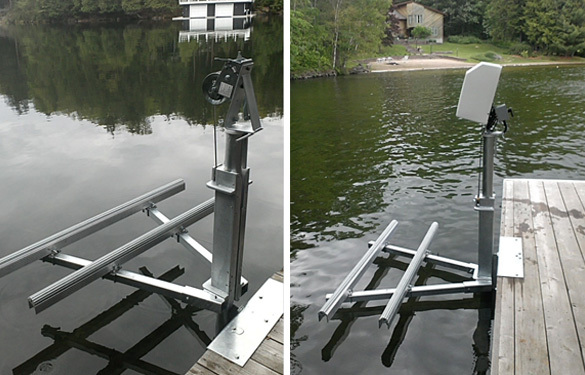 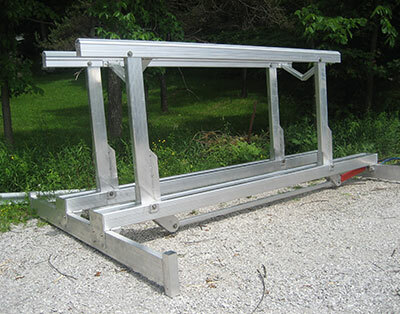 Our underwater hydraulic lifts are available with 12volt or A/C power hydraulic pumps. 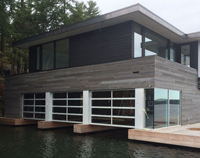 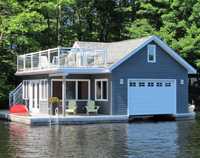 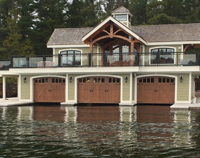 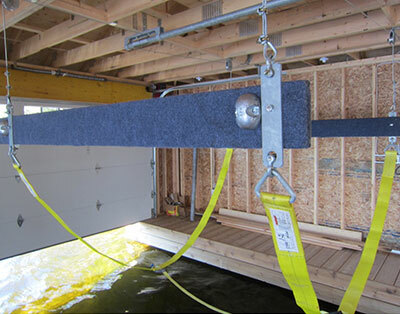 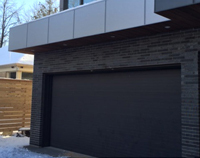 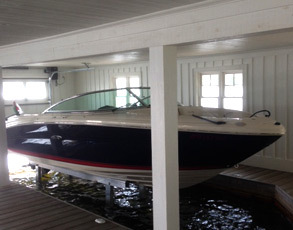 Whether you are integrating a lift in an existing boathouse or constructing a new one, we have boat lift solutions that will meet your requirements.